An exercise in using photoshop brushes to achieve the same look as conte’ crayons…I’m getting closer. 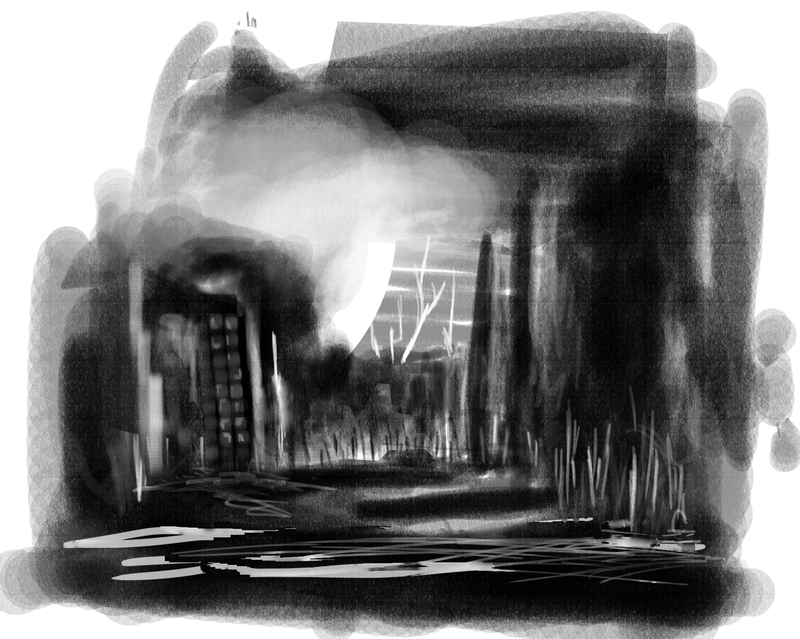 Gallery | This entry was posted in Digital Studies and tagged art, b/w, black and white, blackandwhite, buildings, charcoal, cityscape, concept art, conte crayon, conte', country, landscapes, monochromatic, sketch, sketches, urban decay. Bookmark the permalink.